Simon started flyball when he was 8 years old. His debut tournament was in Kitchener, Ont. While he was not particularly fast, he was extremely consistent and reliable. 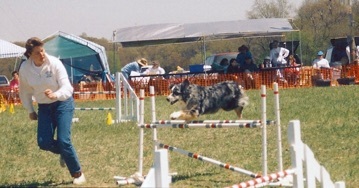 Si’s final appearance in the flyball lanes was in November 1998. He came out of retirement to run with Twist in the fun Mixed Pairs racing where they won the prize for the oldest pair - Simon was 12.5 years old. 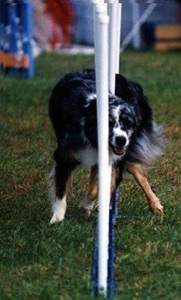 Simon also competed in obedience and agility, but flyball was his favorite activity. 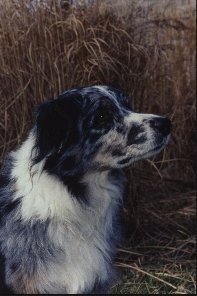 He crossed the Rainbow Bridge on February 21, 1999.